Mastodon remains a band that continues to impress and entertain me. They have just released a new video for the track “Asleep In The Deep” off of their 2014 release Once More ‘Round The Sun. 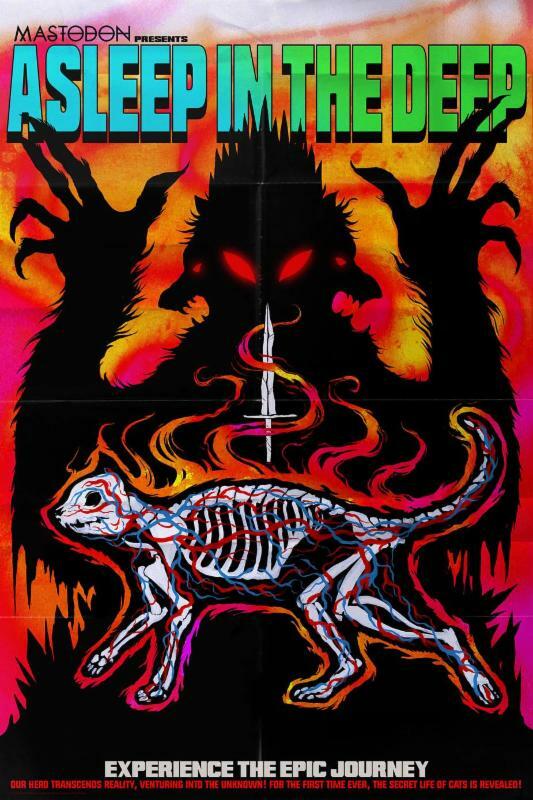 Mastodon is excited to have a limited webstore exclusive bundle to celebrate the video premiere, which includes the “Asleep in the Deep” t-shirt and larger-than-life 24″x36″ old school movie-style poster printed on 100# text paper. 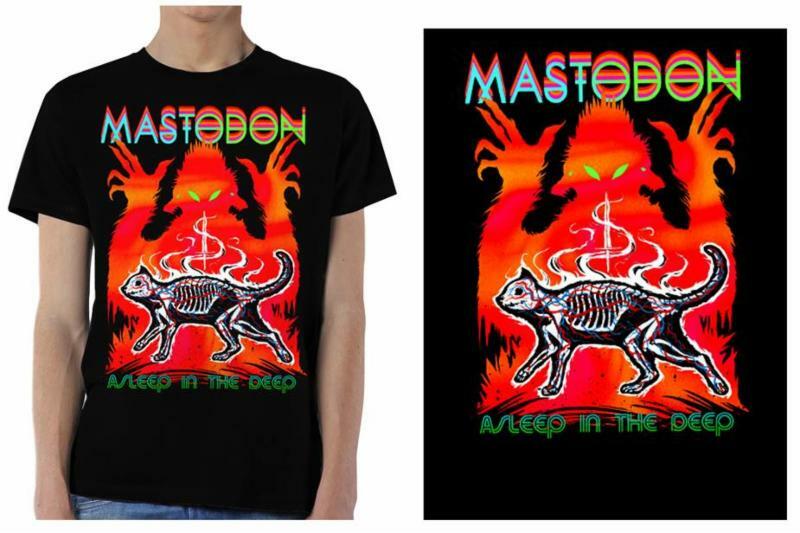 Both the “Asleep in the Deep” shirt and poster feature the exclusive art by Skinner. This is a pre-sale item. Bundles will begin shipping by July 1st. 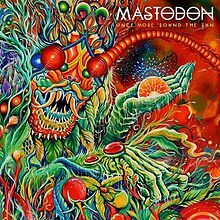 Mastodon will spend their summer overseas performing at all the major European and South American festivals, including Belgium’s Pukkelpop, the prestigious Reading and Leeds Festival in England, and Brazil’s Rock in Rio Festival. They will also support Metallica for two shows in Russia.Please see below for of Mastodon’s upcoming tour dates. As previously announced, Mastodon are featured on THE GAME OF THRONES MIXTAPE, Catch the Throne: The Mixtape Vol. 2, with their new original song, “White Walker,” which is available here: https://soundcloud.com/catchthethrone. it’s loud, it’s dirty, it’s MASTODON!!!! This entry was posted in Artist, Bassists, Drummer, Guitarists, Heavy metal, Internet Radio, Legends, Metal, Music, Rock, Rock N' Roll, RockStar, Sleaze, Surrealist, Tattoos, Vocalist, Words and tagged Asleep In The Deep, Bill Kelliher, Bleach Bang, Bleach Bangs, Bleach Bangs Radio, Brann Dailor, Brent Hinds, Catch The Throne, Charlie Owens, Game Of Thrones, Hard Rock, Heavy Metal, Hey Beautiful Jerk, Jodorowsky psychedelia, Joseph Campbell, Mastodon, Metal, Music, ONCE MORE 'ROUND THE SUN, Randy Norris, Rock, Rock N' Roll, Rock Star, RockStar, Shane Morton, Skinner, THE GAME OF THRONES MIXTAPE, the Hellion, the Hellion Rocks, Troy Sanders, Video Rahim, White Walker. Bookmark the permalink.